Viewpoints; starting a new series of artworks. 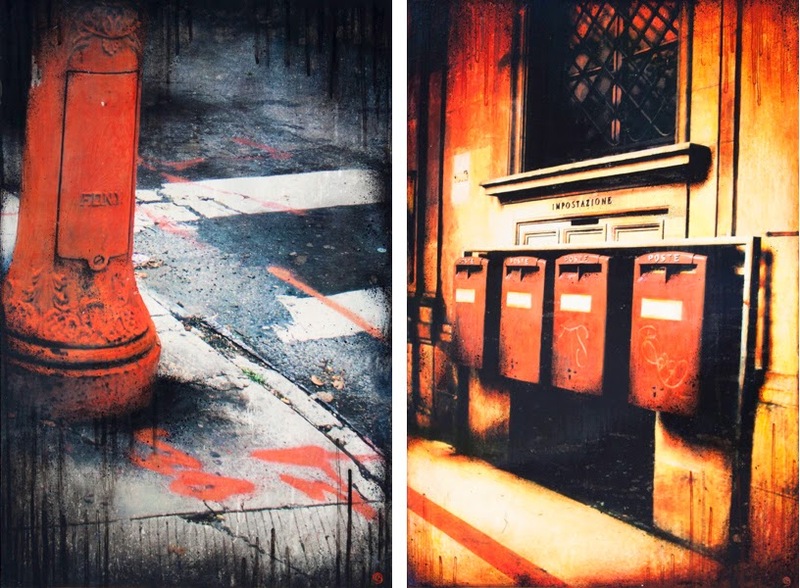 My work has always been strongly influenced by my love for photography. When I create my photo montages I usually merge multiple photographs together to create one image. But while I'm working on this, I always run into photographs that would work best on their own. Until now those photographs have always been put to the side to be buried beneath heaps of images of buildings and streets and that has always made me sad. But now I have found a way to show them some love and integrate them into my work. I've decided to create a series titled "Viewpoints" and in this series I will use images that are strong enough the be stand on their own. Like most of my pieces these new paintings start on my computer. I pick out the image I want to use and manipulate the exposure, contrast, vibrance and saturation until I am satisfied with the result. Then I prepare my panel, first with sizing and Gesso and then with some layers of underpainting, giving it a base colour and texture. I then use the direct transfer technique to transfer a large size print to my panel on top of the under painting, giving the piece a layered effect. This is a very physical and delicate process that requires patience, a delicate touch and quite some endurance, and that usually results in sore and sometimes bleeding fingers. With the transfer done I will go in with acrylic paints and glazing mediums to add several layers of colour and texture until the piece is finished, at which point I decide on a glossy or matte finish. This finish comes in the form of 6 layers of high quality removable varnish applied with ample drying time between layers. For now "Viewpoints" consist out of multiple smaller pieces on different sized un-cradled wood panels as well as two 36"x24" full sized paintings. But I will be working on 10 more full sized paintings in the upcoming weeks, so keep an eye on this page for updates! 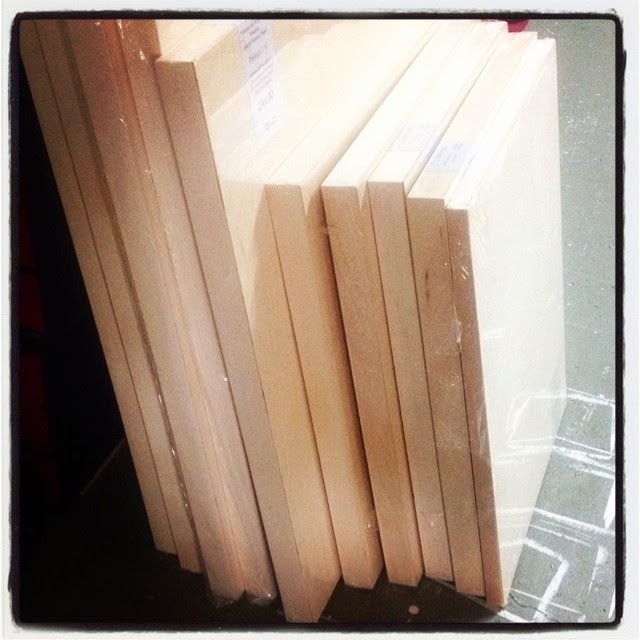 How to prepare for an outdoor Art Exhibition or Art Fair? 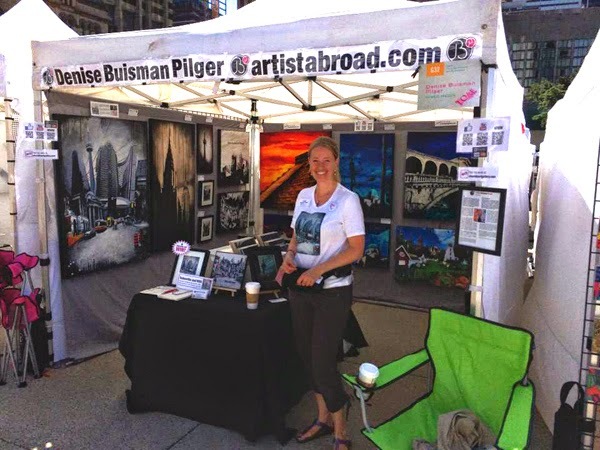 After going through weeks of preparation for the Toronto Outdoor Art Exhibition and doing the show successfully I thought I would share my experiences. In this newest episode of Creative Ramblings I talk about my preparations for the show, from transportation to little things like the type of hooks to your paintings on. I hope this episode will help you with the preparations for your future events. 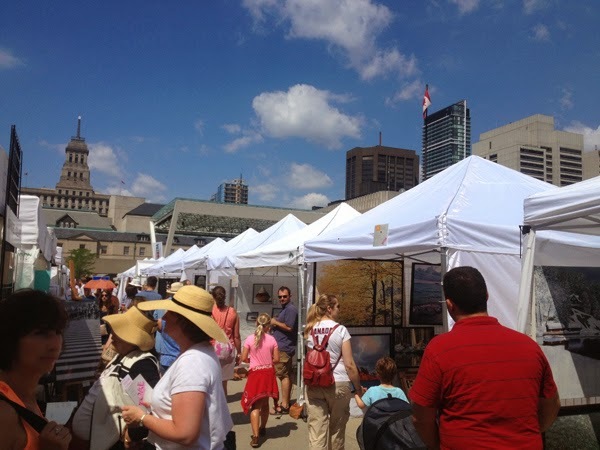 On July 4, 5 and 6 2014 Nathan Phillips Square in Toronto transformed into a huge art gallery with over 350 artists of all disciplines showing and selling their works at the Toronto Outdoor Art Exhibition (TOAE). I was fortunate enough to be one of those artists! I spent the weekend in booth G32 showing my works to the lovely people of Toronto. The sun was shining, there was free ice-cream and so much amazing artwork to enjoy! Don't get me wrong, working an outdoor exhibition like this is exhausting but boy was it fun! The exhibition drew a big crowd on all three days, our booth was busy basically from start to finish each day and even while we were packing-up the artwork in the evenings, people would still come into our booth to ask questions and take business cards! The organization was absolutely amazing! They were super helpful, there were tons of volunteers walking the exhibition and even loading and unloading in, what was basically a huge construction zone, went as smoothly as possible. And most importantly, art was selling! We sold quite a few original paintings as well as a bunch of limited edition prints! and we weren't the only ones, all around people were walking around with artwork that they bought, it was amazing! It was my first time doing TOAE and I was thoroughly impressed by not only the organization but also the crowds that it drew. I would love to be part of the exhibition again next year and I hope to be able to do more similar events in the future. In my next Creative Ramblings video I will talk in a bit more detail about all the preparation that go into doing a show like TOAE. For now I would like to take this opportunity to thank my husband, the TOAE organization and all my fellow exhibitors for making TOAE2014 an awesome experience!